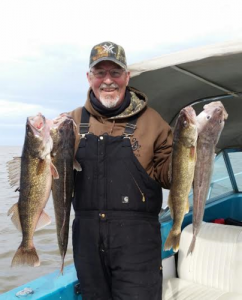 Saginaw Bay – Bay City Area all area rivers were high, fast and muddy. Steelhead, sucker and perch fishing in the rivers and cuts at least in the lower ends was pretty much unproductive if not impossible. Shore anglers at Eagle Bay Marina were taking a large number of small perch. Fish over seven inches were almost non-existent. 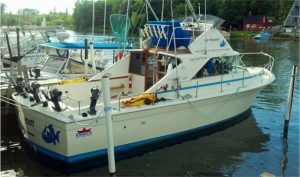 On the east side of the bay, success was pretty limited. A few small perch were caught in the Sebewaing River. 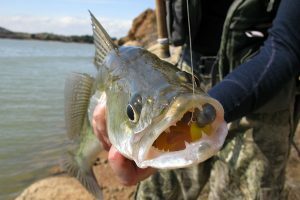 At Mud Creek, the catch rate for keeper perch was one fish per angler hour. Walleye fishing out in the bay was pretty slow as the water was muddy. Au Gres Area trolling for walleye was really slow, probably held back by very cold and muddy water. A couple of lake trout and walleye were taken by shore anglers casting at the end of the breakwall. Au Gres River steelhead fishing was very slow at the Singing Bridge. The water was high, fast and muddy. Rifle River dip-netting for suckers was still in full swing. Au Sable River water levels were high and muddy which usually slows the bite however some fish were still being caught up near the dam. Tawas River a few suckers were still being caught in the lower river. Many anglers have their go-to spots for springtime fishing, but how many of you have checked out the Detroit River? According to many, in late March and early April the lower Detroit River is a great location to catch walleye in decent quantities. As April moves on fish head further upriver, but the opportunities are still bountiful. 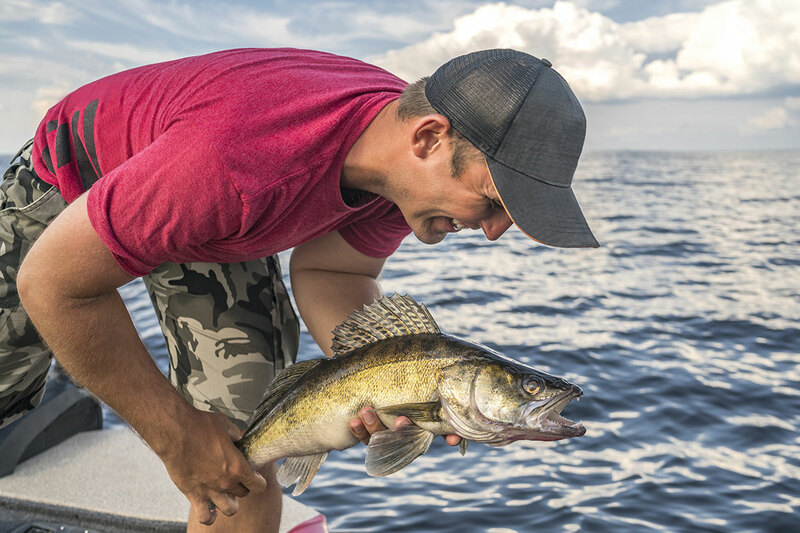 As many are aware, several of Michigan’s Great Lakes waters have become world famous for walleye. 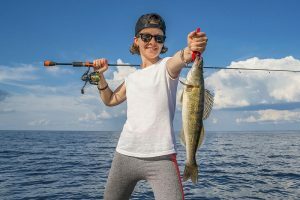 The Lake Erie-Detroit River-Lake St. Clair-St. Clair River system is outstanding, drawing anglers from across the country in spring and early summer – will you be joining them? 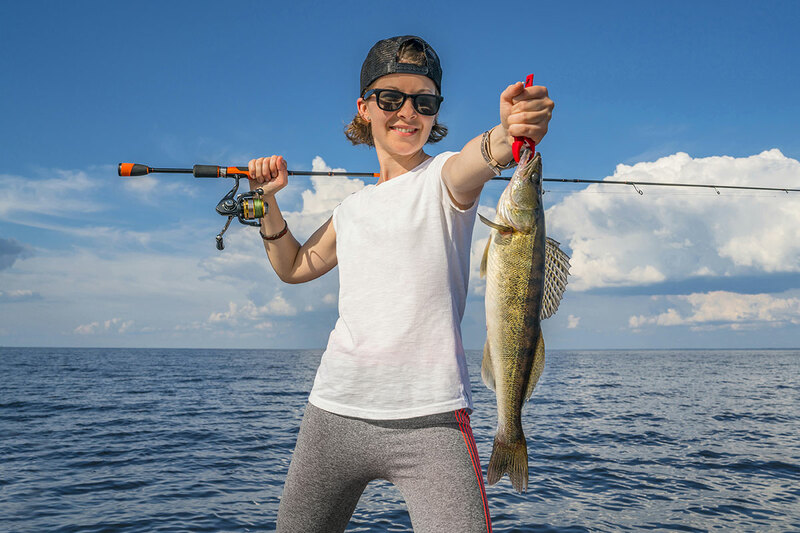 For more information for fishing for walleye or any other species, visit the DNR’s Michigan Fish and How to Catch Them website.